Ecotech Institute Debuts First-of-its-Kind "Clean Jobs Index"
A recent news item suggested that the drive towards wind power is, for want of a better expression, running out of puff. There are waves of changes in funding worldwide for alternative energy, matching the move to more wind offshore - the whole market is at sea. There are economic and structural pressures on wind turbines especially the blades. This article reviews wind composite technology and markets. Tentec Training, a specialist provider of training and competence assurance programmes in the assembly and tightening of bolted connections appoints Glenn Dixon as Technical Supervisor. 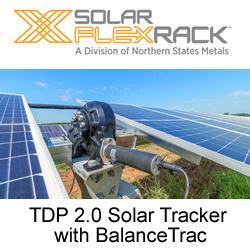 Portland, TN - January 2013 - Shoals Technologies Group, the global leader in photovoltaic OEM and balance of systems components, proudly announces their newest addition to their already diverse product line, the Slimline™ Series of PV combiner boxes. – Solar Energy World has completed the installation of a solar electric system at Boarman's Old Fashioned Meat Market in Howard County, Maryland. The 204.96kW system is projected to reduce the grocer's carbon emissions by 560,000 pounds, and to generate revenue in the form of energy credits. Washington DC - January 22, 2013 - Today, the Biomass Thermal Energy Council (BTEC) announced its newly elected executive officers for the 2013 Board of Directors. The executive committee that will lead the organization in 2013 signifies the expansion of growing industry involvement in BTEC. PVinsights: Major Chinese polysilicon makers raise their prices above PV grade polysilicon. This week, 2nd grade polysilicon continues the strong price performance due to anticipation for the Chinese anti-dumping case against polysilicon import from US, Korea, and EU. ET Solar Group Corp. ("ET Solar"), a leading solar one-stop solution provider, today announces that, at the upcoming PV America East 2013 conference and trade show, the company will launch PV modules that have been granted 1000V DC UL certification by Electrical Testing Laboratories Inc.("ETL"),USA.